In a series of tweets on March 17, President Trump warned Fox News against going wobbly amid efforts by the “Fake News Media” to silence the network’s conservative hosts. The children of Fox News founder Rupert Murdoch now exercise more control over the enterprise that demonstrated there was free market support for news and commentary serving the nation’s more conservative citizens. The president tweeted: “Bring back @JudgeJeanine Pirro. The Radical Left Democrats, working closely with their beloved partner, the Fake News Media, is using every trick in the book to SILENCE a majority of our Country. They have all out campaigns against @FoxNews hosts who are doing too well. 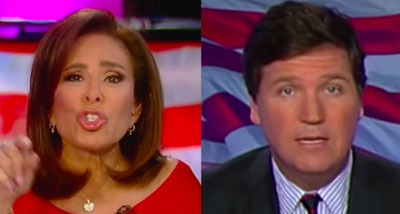 Fox …..
Trump specifically named Jeanine Pirro, host of “Justice with Judge Jeanine.” Fox condemned Pirro for comments she recently made amid the controversy surrounding Rep. Ilhan Omar. Pirro’s Fox News show did not air on March 16. “We’re not commenting on internal scheduling matters,” a Fox News spokesperson told The Hill of Pirro’s show being pre-empted. Several advertisers pulled their ads from Pirro’s show last week. Tucker Carlson, host of Fox News’s “Tucker Carlson Tonight”, also lost advertisers after a leftist blog resurfaced comments he made during appearances on a radio show between 2006 and 2011. Fox News was the No. 1 rated network in all of basic cable in 2018.